di4ent is an experiment. 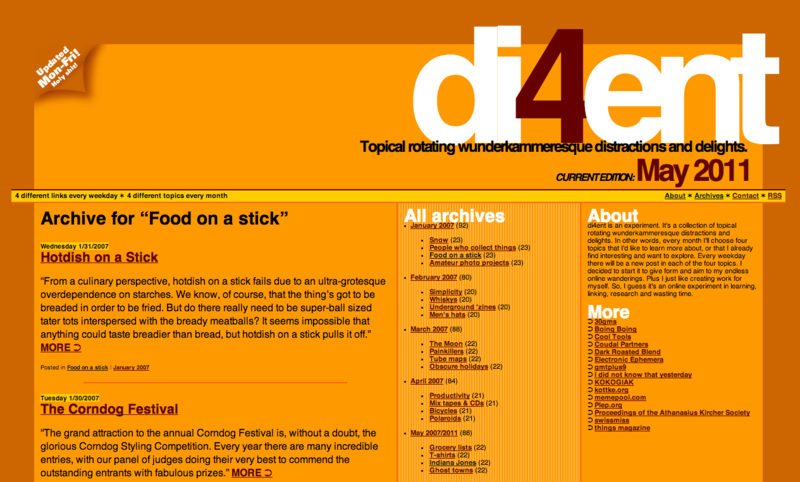 It’s a collection of topical rotating wunderkammeresque distractions and delights. 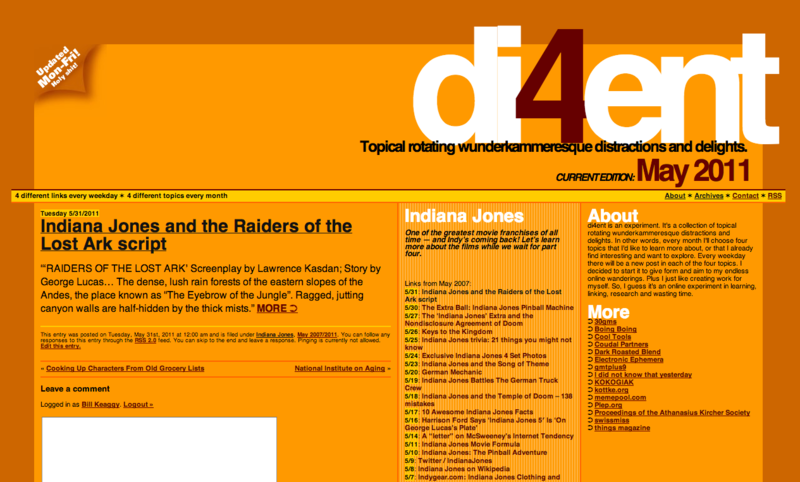 In other words, di4ent is a linkblog that features four different links every weekday and four different topics every month. I decided to start it to give some form and aim to my endless online wanderings. Plus I like creating work for myself. It’s an online experiment in learning, linking, research and wasting time. Every month I’ll choose four topics that I’d like to learn more about, or that I already find interesting and want to explore. 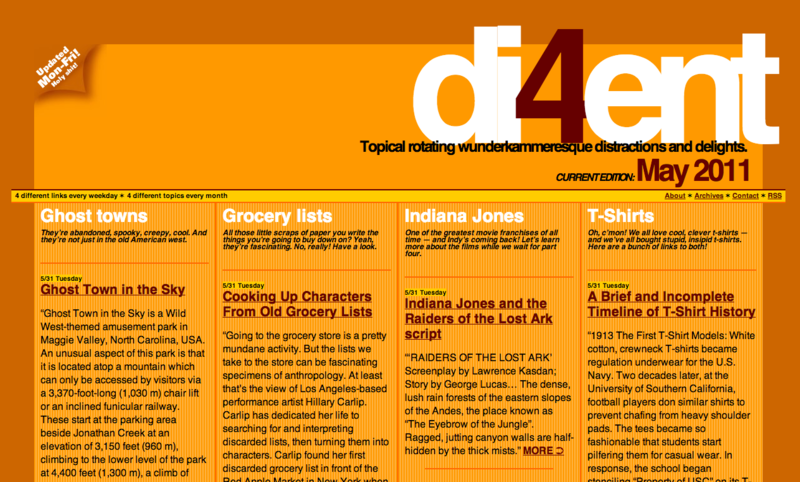 Every weekday there will be a new post in each of the four topics. The idea is that I’ll be able to focus on interesting topics, hone my online research skills and have some fun while doing it. Maybe you’ll like it too. The plan is to do this for all of 2007. If things work out right (meaning it stays fun and interesting), I’ll keep going. Regardless, we’ll end up with more than 1,000 cool links on 48 different topics by the end of the year. The categories are not meant to be comprehensive or academic, just interesting and illuminating. Update: sorry, had to take the site down in June 2016 due to WordPress spammers.